What Cheese Has No Casein or Lactose? Casein is a type of protein found in all milk products. This high-quality protein has a substantial amount of amino acids and is easily digestible by the human body. A 2015 study in the Saudi Journal of Biological Sciences reports that casein contains several bioactive peptides that can boost your immune system and promote healthy functioning in those with diseases like diabetes and obesity. Lactose is a carbohydrate found in most milk products. While there aren’t any dairy cheeses that don’t contain casein, some dairy cheeses are naturally lactose-free. If you're lactose intolerant but don't want to give up cheese entirely, you can choose from a number of lactose- or casein-free alternatives. The body of a person who's lactose intolerant doesn’t make enough lactase, an enzyme needed to digest lactose. Those who suffer from this issue may have digestive problems such as diarrhea, bloating and gas. As such, it's advised that people who are lactose intolerant consume foods with little or no lactose content such as lactose- or dairy-free cheese. If you experience mouth swelling, hives, rashes or similar symptoms, you might have a milk allergy on your hands. FoodAllergy.org reports that about 2.5 percent of children under 3 years of age are allergic to dairy milk. Although most commonly occurring in children below the age of 5, some youngsters never outgrow the allergy and experience issues into adulthood. People who have issues with milk and other dairy products will likely benefit from casein-free cheese products. All dairy cheese has some amount of casein, but plenty of casein-free cheeses exist in the form of nut- and soy-based alternatives. Proclaiming their products as “a healthier way to love cheese,” Go Veggie Cheese Alternatives offers a variety of products. If you're avoiding casein, it’s recommended that you try these vegan cheese options. But if you have food allergies, be warned that some selections do contain soy and coconut. Learn more about the best vegan cheese varieties that exist. Feeling nostalgic? Check out a dairy-free vegan mac 'n' cheese re-creation. Casein-free cheese created from nuts is quickly becoming one of the best options on the market for those with casein or lactose allergies. Most types of this dairy-free cheese are made from cashews, which are high in fat, aiding in creating a creamy texture. Dairy-free Daiya has become a staple in the veggie cheese arena. 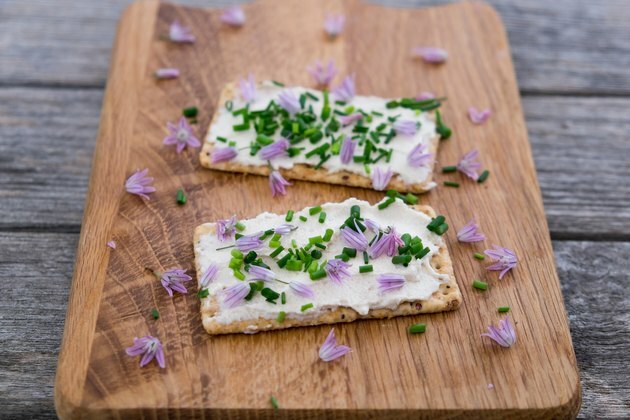 From sliced singles to shreds, blocks and spreadables, Daiya vegan cheeses allow you to enjoy some of the indulgences of your previous diet without the guilt or stomach issues if you suffer from intolerance to dairy, gluten, soy, eggs, peanuts, fish, shellfish or tree nuts (except coconut).